George Clooney is engaged. I never thought I’d be typing that sentence, but it appears to be the case. Page Six first posted the rumours, quoting a source who claimed 36-year-old humanitarian lawyer Amal Alamuddin was spotted showing off an engagement ring while the couple dined with Cindy Crawford and Rande Gerber on Thursday night. The rumours suddenly became a lot more credible when his rep responded, “I don’t comment on my client’s personal life.” Considering how quick his camp has been to denounce false rumours (or clarify reports) lately, most are taking it as a soft confirmation. On paper at least, Alamuddin appears to be the best-matched woman Clooney’s dated in a while (a fact Stacy Keibler reminded us all with last week’s desperate red carpet appearance), but this relationship seems to be progressing really fast by normal standards — and breakneck fast for the world’s most famous bachelor. They were first spotted together in October. Could this be a shotgun wedding? 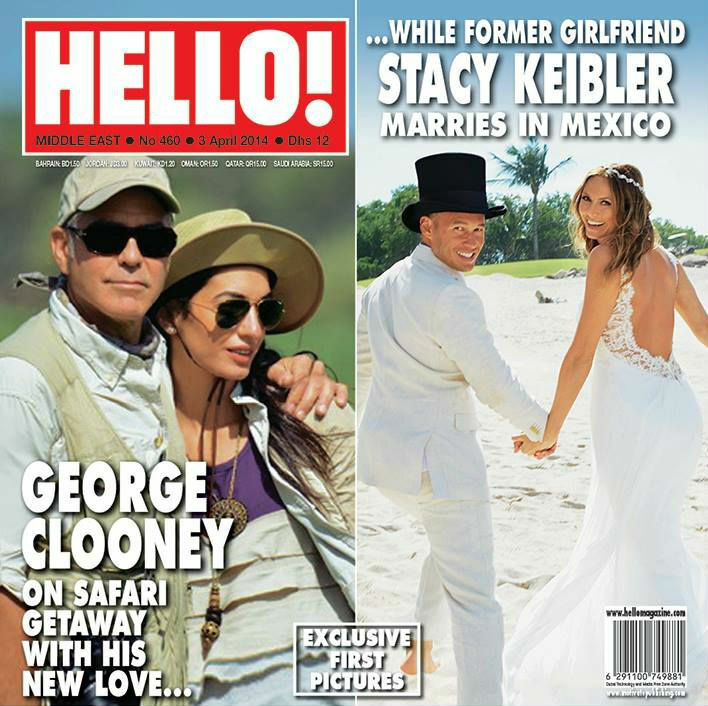 George Clooney married with kids? Just the thought of it makes my brain sweat.